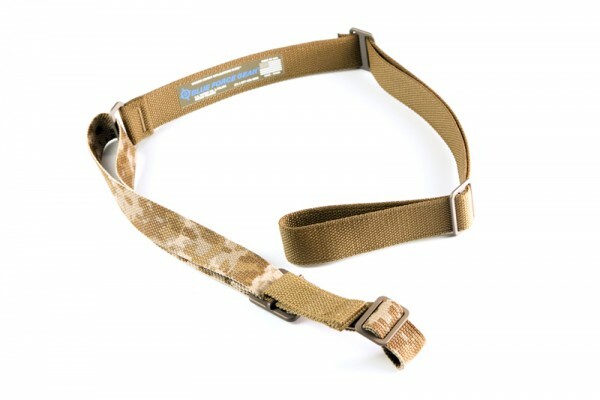 Blue Force Gear releases the Special 1404 Limited Edition Sling. The SP-1404 Limited Edition Sling combines several ultra-rare components to create a premium weapon sling unlike any other. Available on only select models of Vickers Slings, the SP-1404 features all machined aluminum hardware that is anodized in a burnt bronze/flat dark earth color with a great luster. 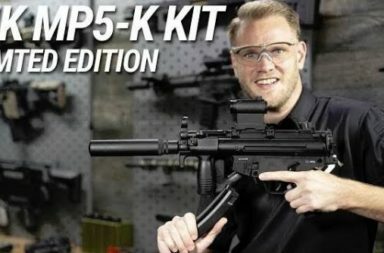 The front of the sling works just like a regular Vickers Sling with the patented quick adjust, but the rear of the sling is 1.5” webbing. 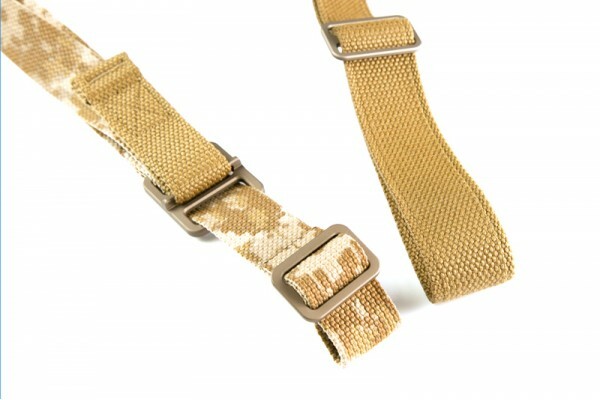 This “Goldilocks” webbing is slightly wider than the 1.25” front, but smaller and thinner than the 2” padding on the Padded Vickers Sling. 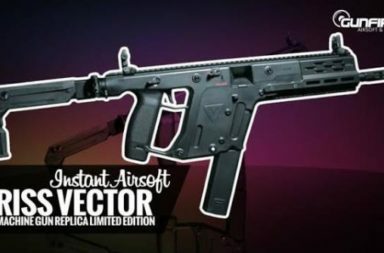 This gives the wearer additional comfort while still maintaining the low bulk and adjustability of the regular Vickers Sling. 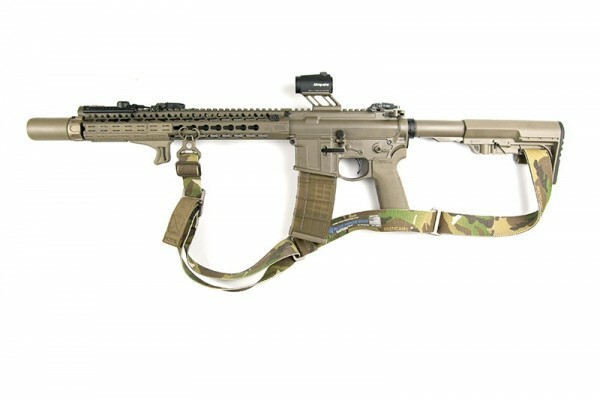 Desert Digital -which is similar to the AOR1 pattern features the Desert Digital front section with a 1.5″ Coyote Brown rear section. 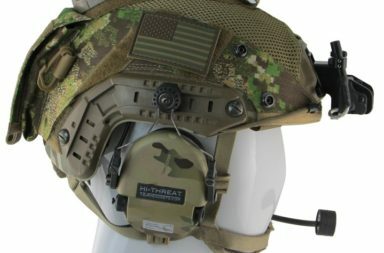 MultiCam® – features 1.25″ front section in Multicam and a 1.5″ rear section also in Multicam. 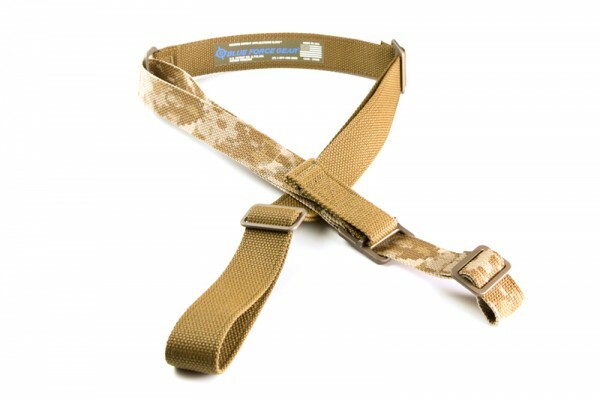 Both sling colors are built with brown anodized aluminum hardware and come with triglides on both ends to mount onto a standard M4 or other weapons with sling loops and slots, or can be combined with additional sling hardware available separately. 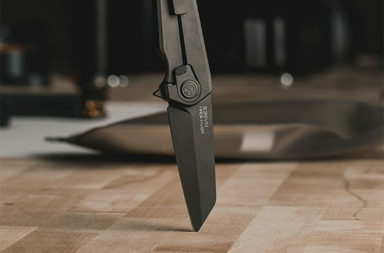 As with all Blue Force Gear, the Special 1404 is made with excellence in the USA, is Berry Compliant, and carries a limited lifetime warranty.